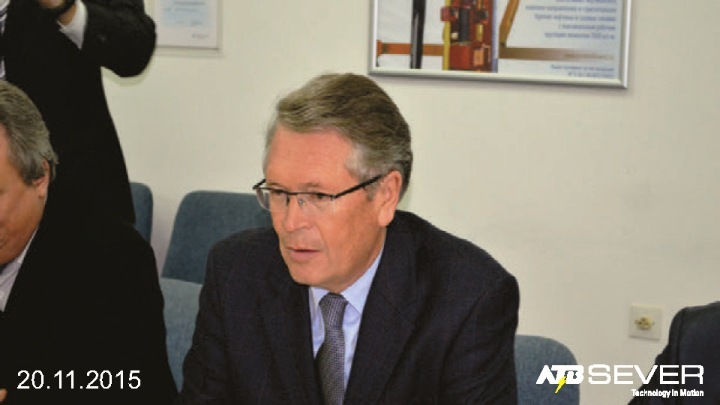 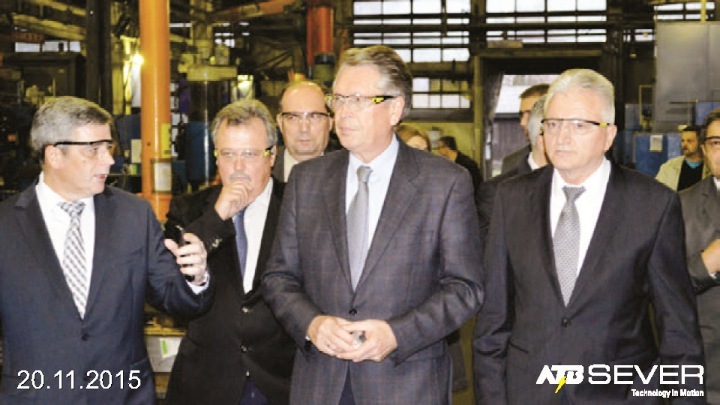 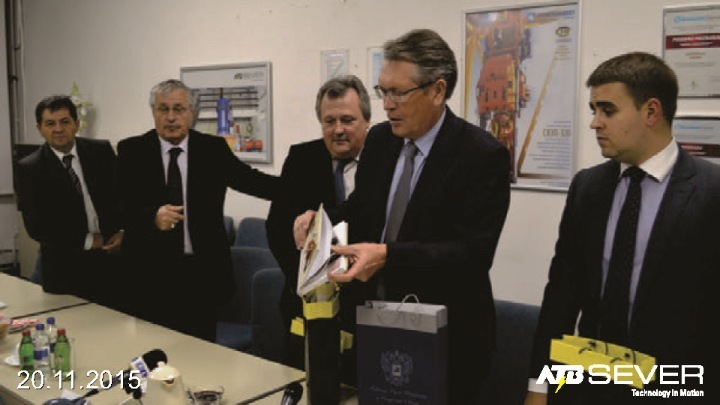 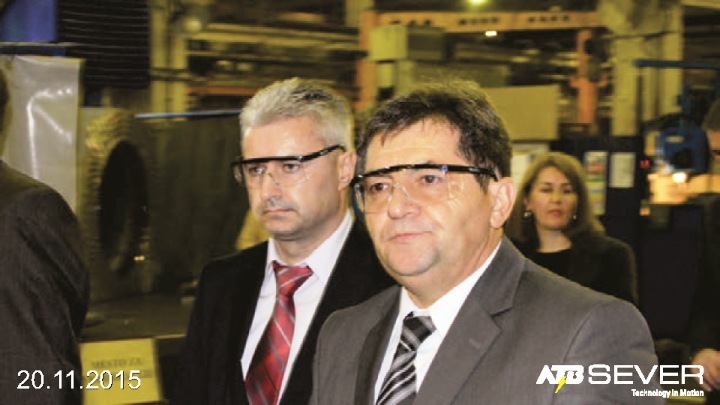 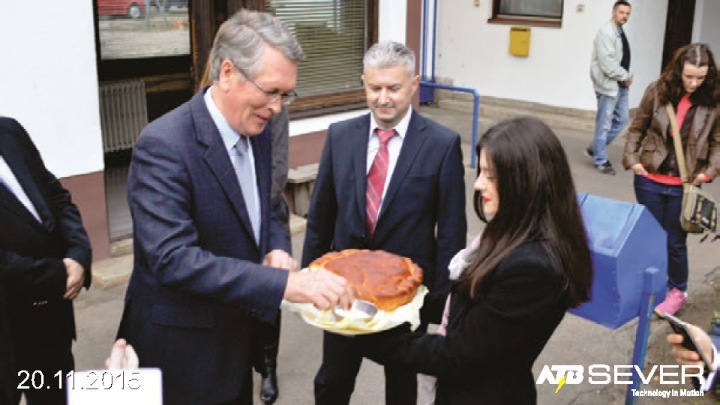 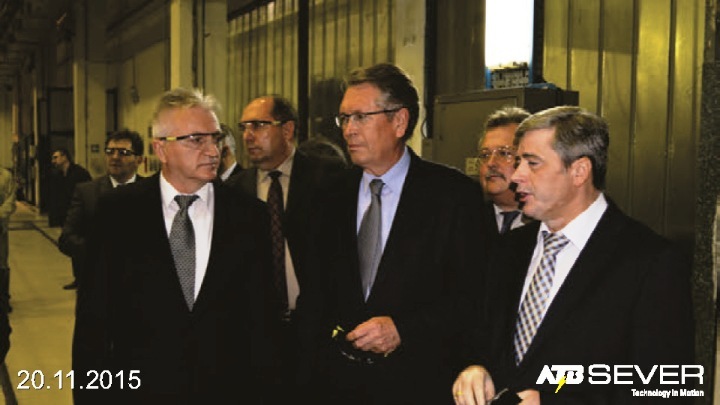 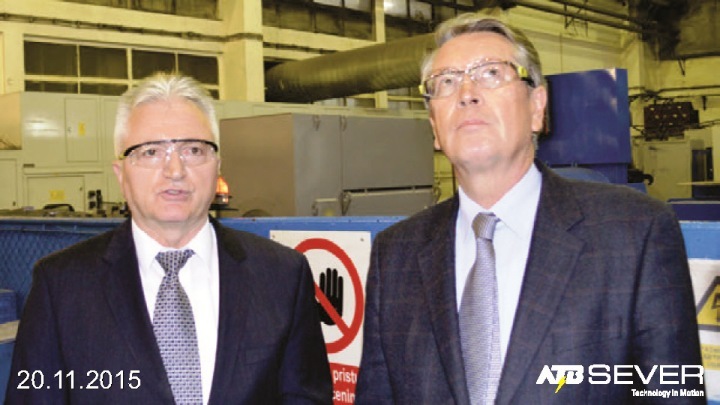 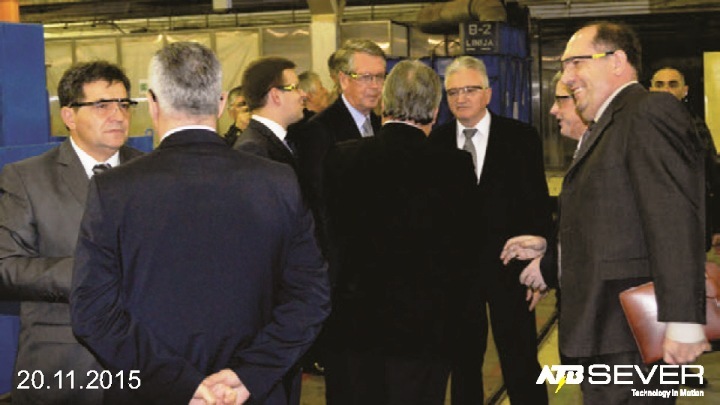 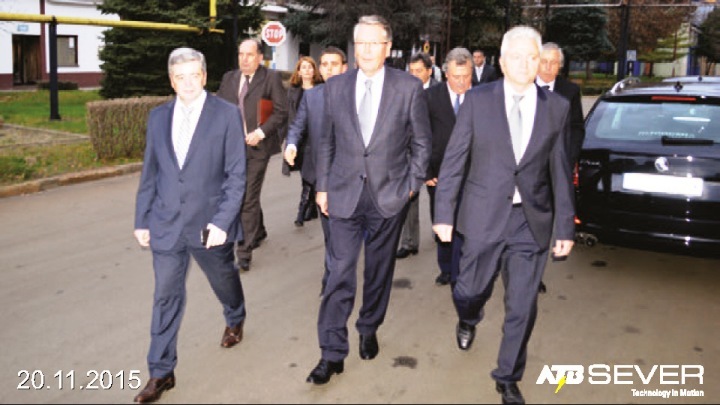 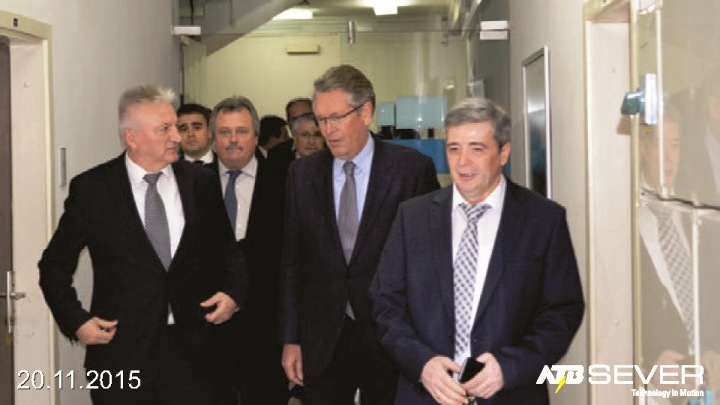 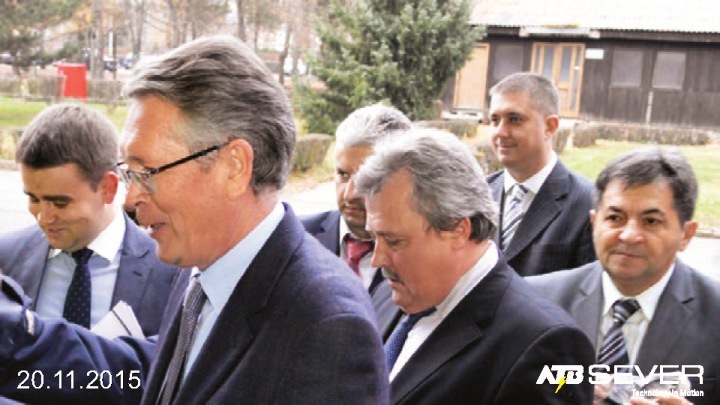 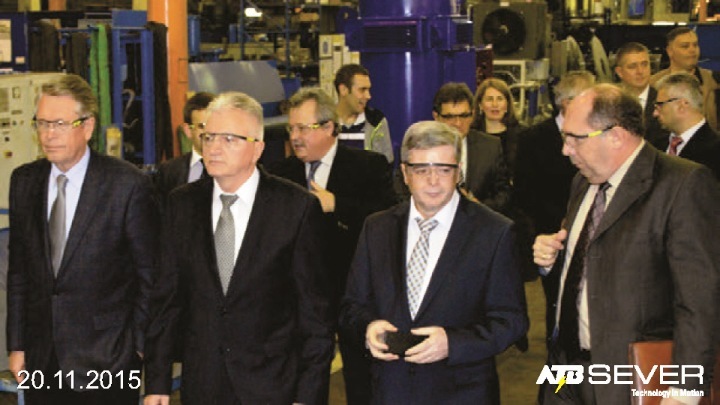 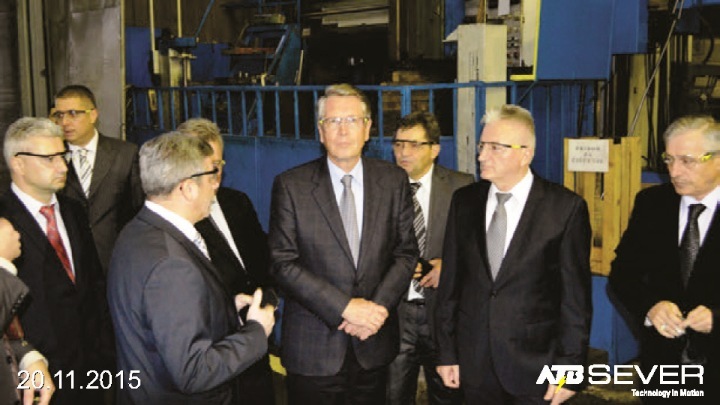 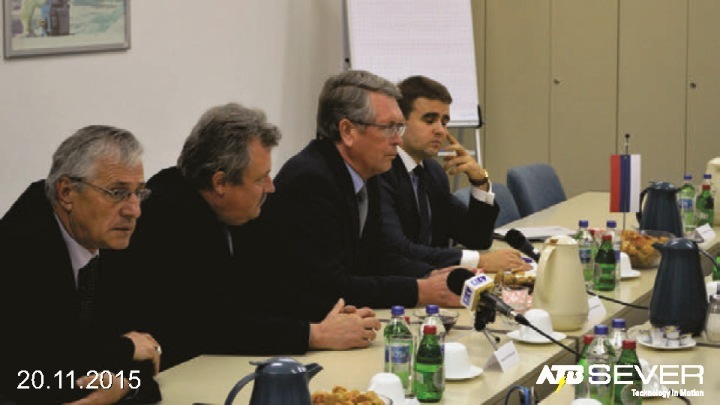 Russian Ambassador to Serbia Alexander Chepurin, accompanied by a delegation, 20.11.2015. he visited ATB SEVER. 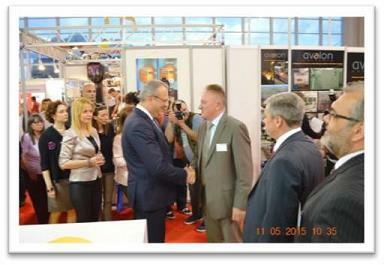 In the period from May 5th , 2015 to May 15th, 2015. in Belgrade was held the traditional International Technical Fair. 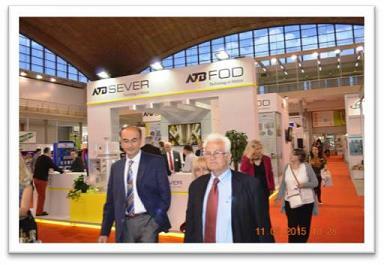 This fair is the largest regional technical and technological trade event where ATB SEVER participates for decades. 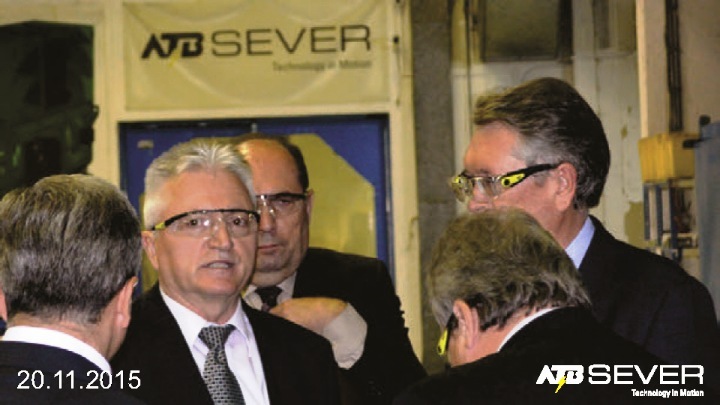 International Fair of techniques and technical achievements was opened by the Minister of Economy Zeljko Sertic, who was while making the tour on the fair stopped by to visit ATB SEVER exhibition place and spoke with director of ATB SEVER Mr. Vasic and they agreed that he will visit ATB SEVER soon. 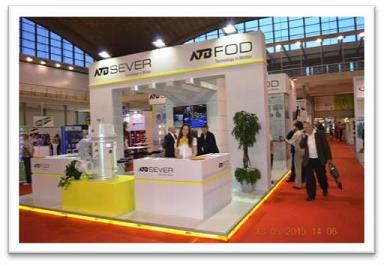 Among the 500 exhibitors from 25 countries ATB SEVER had a successful performance and won the award „Step into the future“ in the field of electric power. 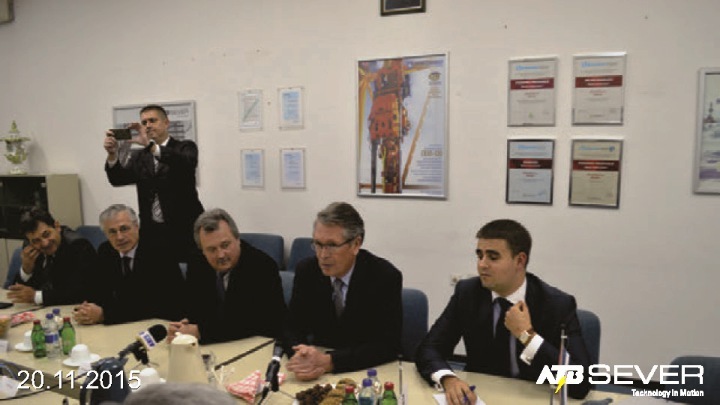 Precisely award went to: asynchronous brake motors for marine and coastal purpose, cranes and heavy-duty type: 2.RBKOKIT 315 LK-4s B5., Reduced weight with increased power rating in the same working conditions and working environment. 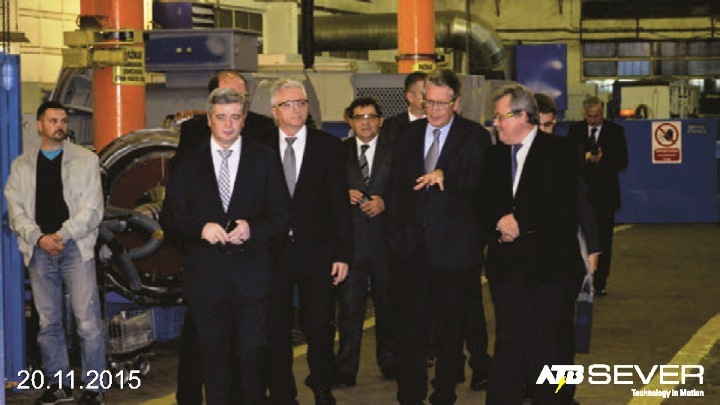 Such an engine, even though the largest is in the class of the motor, having a power of about 110 kW, in continuous operation 400 kW can provide, while maintaining heating the hottest point in the B-class (below 120 ° C at a temperature of ambient to 40 ° C). 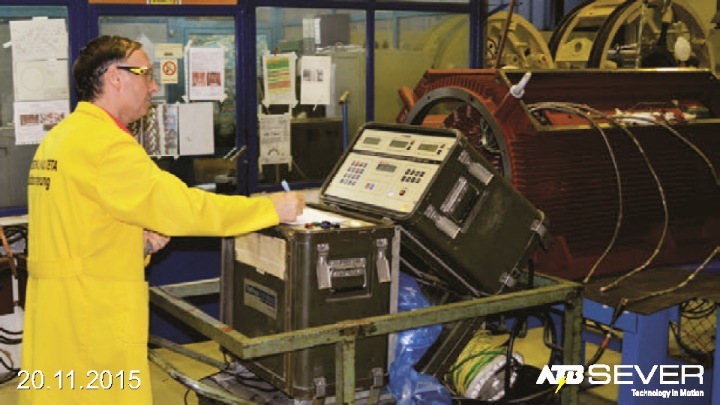 In addition, the engine can be relatively long it is in overload mode, and since the coil created in the H-class insulation and the engine is declared as engine F-class warm-up, the overload mode is actually a permanent regime and is 800kW. 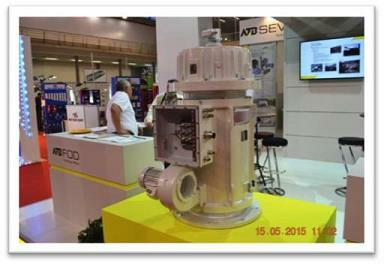 Currently our largest buyer of these engines is a Dutch company Huisman. 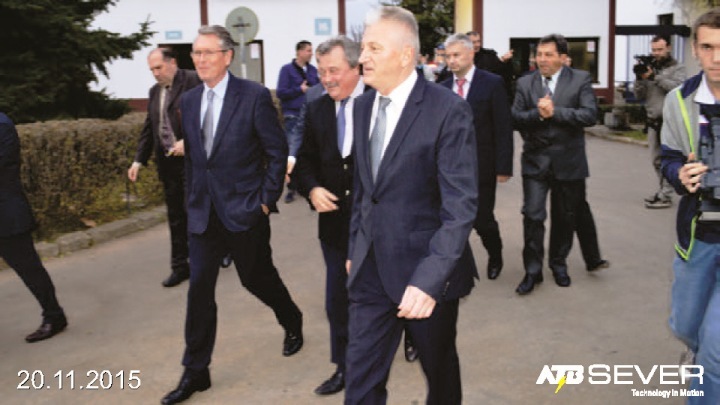 Who are the most successful exhibitors at the 59th International Fair of techniques and technical achievements was decided by a six-member jury of eminent professors of the Belgrade Faculty of Technical Sciences. 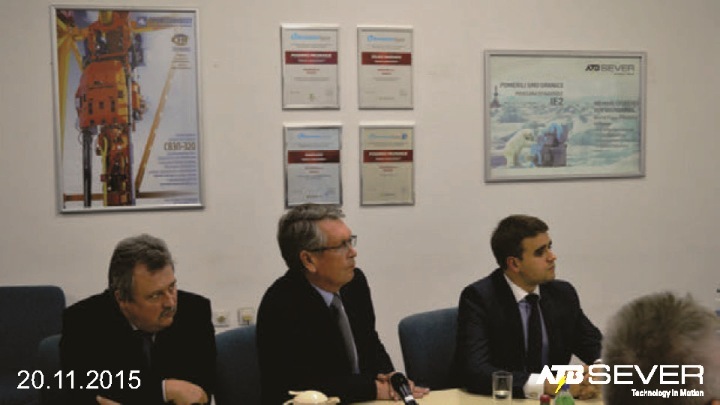 On behalf of ATB SEVER mr. Petar Jerkan successfully presented study about ATB SEVER’s exhibits in front of the jury.